Made with a downward sloping broad brim and tonal hatband with our soft-as-linen, tough-as-nails hemp. The natural fibre means your Hat will fade over a few years of wear and become uniquely yours as a result. Constructed of all-natural hemp, the TH9 women's hat from Tilley Endurables is both elegant and hard-working, with 50+ UPF sun protection. 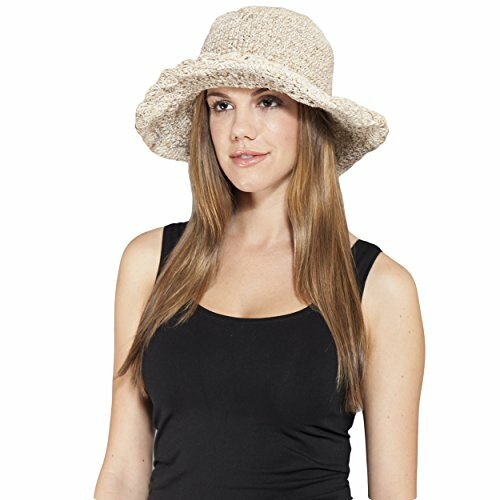 The hat features a down-sloping brim for a fashionable and protective silhouette. Easy to dress up or down, the hat offers a linen-like feel that belies its 'tough as nails' durability. The 100 percent hemp hat is breathable and naturally resistant to UV light, mold, mildew, and salt water--making this a great choice for boating. The easy to care for hat can be hand or machine washed on a gentle cycle, then reshaped and air dried. Have peace of mind knowing that your order will arrive original factory packaging. That means that you'll will get your order in the exact condition as if you bought it in a store! Shipping in the continental USA is free on this item. We get your order shipped out usually within 1-2 business days and delivered to your doorstep as quickly as possible. Shipping outside the USA will be done by the eBay global shipping program. eBay will be in charge of the collecting customs payments and will guarantee that item get delivered to its final global destination. 100% Authentic & Satisfaction Guaranteed or your money back! We are committed to making sure that you leave this transaction 100% satisfied. That means having access to real people that get your questions and concerns answered quickly. Give us a shot and we will make sure that you will look to us again!